We would like to point out that your reservation is intact and confirmed by the resort. As in the Terms & Conditions, if one Secrets property is not available you are offered an alternative Secrets property. In addition, the Terms and Conditions governing every promotional package are located at the bottom of each resort offering page and are easy to read and understand. To ensure our customers understand the Terms and Conditions governing their particular vacation package, the Terms and Conditions are reviewed with the customer during every sales call, and must be agreed to in writing by customer in order to finalize the reservation and have dates sent to the participating resort provider. 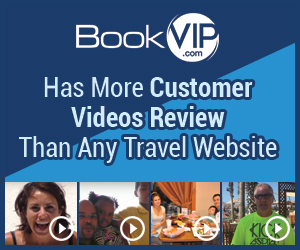 I feel bookvip is a scam, as of right now I have been dealing with there sales people who cannot and will not give a correct answer. They try to lie to you but you catch them in their lies. Right now we booked for a 5 star resort and they are trying to put us in dump three star. They cannot and will not give straight answers, and say they will call back but never do. I do believe they offer top resorts and then put you in the lesser or lowest resort of that chain. I feel this how ordeal is a scam and have wasted over 5 hours trying to straighten this out with no help. They don't email you so there is no record of anything that was talked about. There is not even a confirmation email on payment very shady. I will be following up daily until my issue is resolved. Review #810528 is a subjective opinion of User810528.